Let’s start things off with what looks like a possible head and shoulders pattern on Cable. Sweet, right? But wait! If you’re planning to side with the bears today, you may want to wait for a clean break below the neckline support at around 1.6400. Who knows, with Stochastic indicating that the pair is already oversold, it may find support at the rising trend line and skyrocket back up to 1.6700! 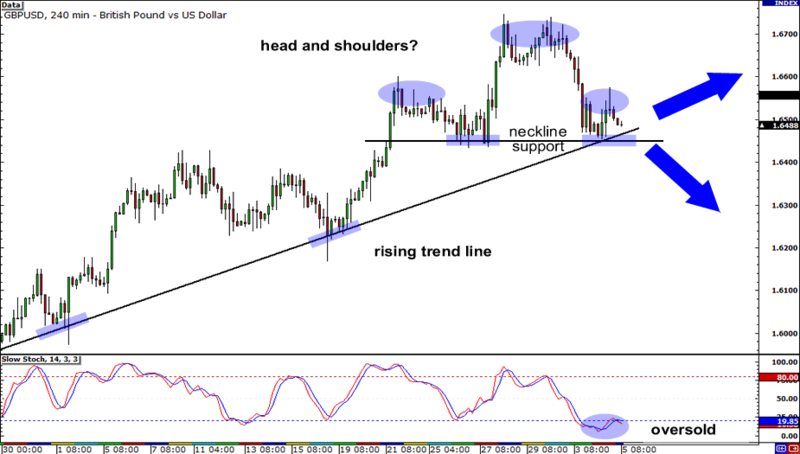 Remember the setup I pointed out on the daily chart of USD/CHF yesterday? Well, I zoomed in to the 1-hour chart and whaddaya know! I also spotted a descending channel in there! Now it looks like the pair is flirting with resistance at the falling trend line. 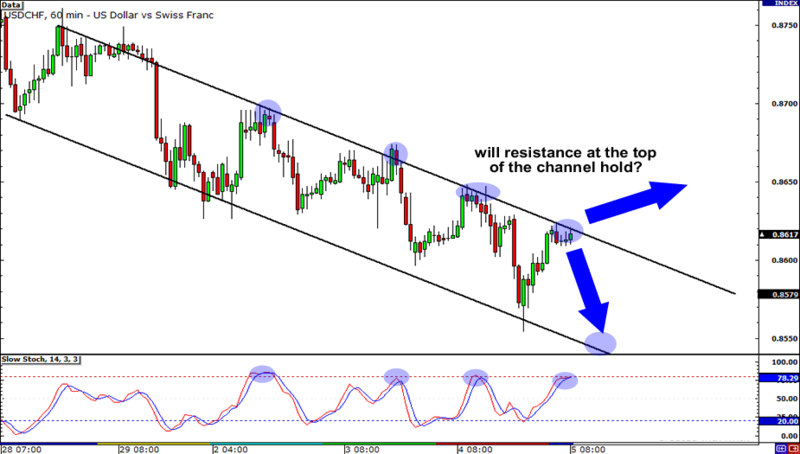 Do you think it will hold and USD/CHF will tumble to support at around .8550? Stochastic doesn’t hint overbought conditions yet. However, for the past few times we’ve seen the pair testing the top of the channel, the lines didn’t really reach the overbought area before falling. On the other hand, if you ain’t feelin’ so fly about shorting the pair, be on your toes for a bullish candlestick above last week’s low at .8625 as this could be a signal that the pair would rally all the way up to .8700. Last on today’s lineup is Guppy on the daily chart which is sporting a sizzlin’ inverted hammer at the 38.2% Fibonacci retracement level. If there are enough pound bulls chillin’ like ice cream fillin’, we may just see the pair hustle to its previous high and test resistance at 140.00. However, with Stochastic having barely crossed the oversold turf, I’m inclined to think that there might still be a lot of bears lurking in the market. 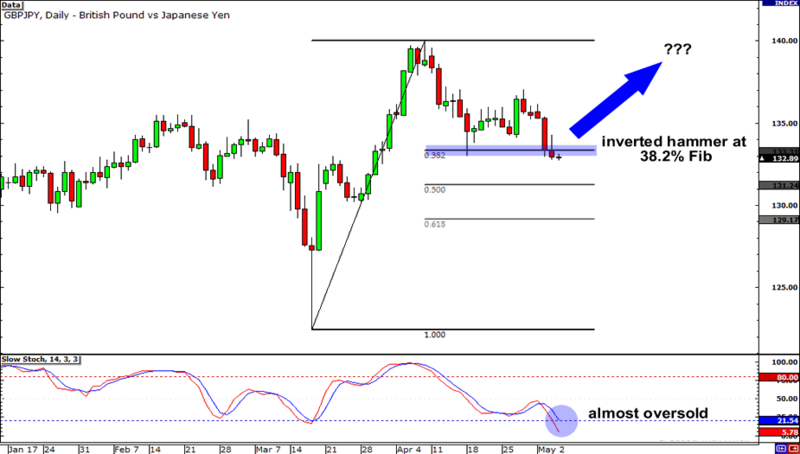 So be careful as GBP/JPY may fall to support at 130.00 first before it starts to rally!